I really want some advice on exercise and fitness. I have started doing the Jillian Michaels 30 Day shread everyday and I do Zumba once a week, plus walking to walk and back (40 mins). I have also got Jillians other DVD's No more trouble zones, Banish fat and the six week six pack. I also have a cross trainer too. And i was wondering for some advice for the best way to get results as I cant really see any at the moment! I currently do the 30 day shread everyday, walking to work and back and then the banish fat once a week and trouble zones once a week plus my zumba class. Is this the right sort of regime that i should get results from (I started the 30 day shread a few weeks ago and have just incorporated the other dvds). Any advice would be really appreciated. Its a very interesting topic to discuss all about. Exercising daily is one of good habit to maintain health and body and also to develop your body beauty and Fitness and keep yourself healthy and strong. Another interesting thing is that when you concert with an health experts they recommend you 30 minutes exercise to moderate intensity activity five times a week. It is like a hard work but fast walking counts as a 'moderate intensity' exercise. One another aspect is that to follow these steps..
1. regardless of your size,shape,fitness and ability do some researches to find some activities that will suit you and your lifestyle. 2. 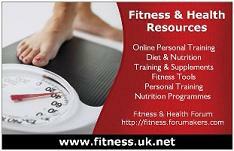 Investigate the offers in your local areas ... leisure centres, gyms and pool and also the availability of time. So. many more things you can do. Benefits of morning walk:There are many ways you could possibly benefit yourselves from i.e. an exercise as simple as morning walk. In today’s irritatingly fast world, you deprive your self of the much needed oxygen that is anyways getting depleted with the time. The earliest hours in the morning would probably give you fresh oxygen and quality time to spend with the greenery and beauty around you that perhaps only writers and poets around you seem to notice. Taking vitamin supplements and also lots of beverages can help underweight people to gain weight in no time but you need to take a advice from Physician before you use ! Do yoga and meditation. Avoid beverages as LindaAlbert says. Follow strict and start workout.